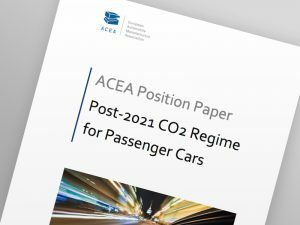 Revealed at the Frankfurt Motor Show, the proposal by the European Automobile Manufacturers’ Association (ACEA) is based around a 20% CO2 reduction for passenger cars by 2030, compared to 2021 WLTP figures. The association said the reduction is conditional on the real market uptake of electric and plug-in vehicles and said that without any adequate action at national level, a higher market uptake of such vehicles remains “beyond reach” and would require increased investment in recharging and incentives to be run by individual member states. The target would be subject to a mid-term review in 2025 and could be revised up or down accordingly. The ACEA also highlighted its latest data showing that in the first half of 2017 electrically-chargeable vehicles made up 1.2% of total new car sales. The proposal comes as carmakers unveiled latest new models and concepts at Frankfurt with a heavy focus on electric vehicles. However, the organisation said that modern diesel technology will continue to play an important role in the gradual transition to low-carbon vehicles.